The sidebar on page 52 notes that I’ll be updating Chapter 3 (“Rate and Tag Photos”) with Photosmith 2 information. When I wrote that chapter a few months ago, Photosmith 2 was still in an early alpha stage, but the developers gave me access so I could include it in the book. I’m happy to say that most everything in the chapter is still accurate, and the app’s interface did not change significantly (by which I mean the released app looks cleaner and a couple of labels have changed, but nothing serious got moved). 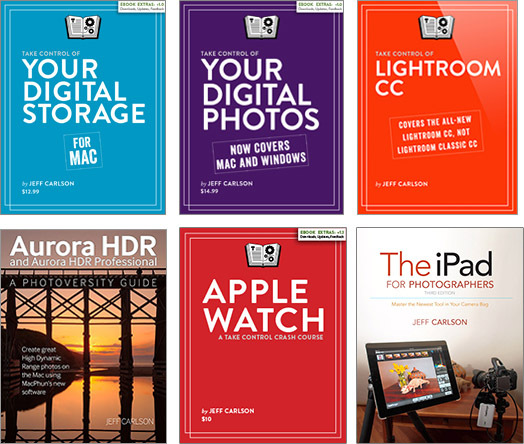 I’m still planning on updating the chapter and posting it for free to people who’ve purchased the book, but I’ve been delayed by waiting for the app to ship (which it has; see “Photosmith 2 Now Available—Go Get It“) and other work. Some of that “other work” is directly related: Look for an ebook devoted to Photosmith 2, coming soon; I’m also updating my book “The Mac OS X Lion Pocket Guide” for the upcoming Mountain Lion release, the timing of which we’ll no doubt learn at this week’s Apple Worldwide Developer Conference (WWDC). 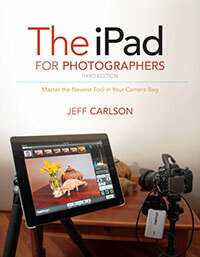 Also in the same sidebar, I note that the Chapter 3 update can be found at http://www.peachpit.com/ipadforphotographers. That link is currently not active, and I’ve alerted Peachpit. It should redirect to the book’s product page here: http://www.peachpit.com/store/product.aspx?isbn=0321820185. There’s no update there yet (for reasons mentioned in the bullet above, for those of you who skimmed quickly), but it is the same location where you’ll find the addendum I wrote that covers iPhoto for iOS and Adobe Photoshop Touch. Sorry about the glitch.